Take These 5 Steps to Keep Hackers Out of Your Life. There's a story of a man who never locked his car when he made quick trips to the local grocery store. He figured he'd just be in and out in a few minutes and felt that there wasn't anything valuable in his 10-year-old car anyway. But he forgot the one thing an opportunistic crook might want—his 10-year-old car. He had to buy a new car...an expense he had never expected. From that point on, he locked his new car all the time, but he learned his lesson too late when it came to protecting his four-wheel asset. A little more prevention could have saved him money, time and a lot of grief. "Online fraud won't happen to me!" It's the same thing with many people when it comes to online activity and guarding their personal data. They don't think much about online security and aren't as vigilant as they should be. Assuming that they're just not worthwhile targets, they figure a hacker or identity thief will hit somebody else's account. Fact is, it can happen to you, to anyone, at any time. Don't get caught with your guard down. Here are a handful of steps you can take, starting today, that can help you stay safe or even limit damage caused by identity thieves or hackers. You never know: You might discover over the next few days that your computer has been hacked or that your accounts have been compromised because of a systems breach that happened months ago. Get new account cards if your bank or a store where you shop gets hacked. Reason why: A retailer might delay sending you a new card if you don't request one. Hackers target retailers because many of them have a flaw somewhere in their computer system that makes them vulnerable...and hackers are willing to search for it until they find it. Home Depot and Target were both victims of news-making attacks. But you, as a customer of a hacked retailer, could be the real victim, along with thousands of other unsuspecting customers. If you hear news of a store where you shop being hacked, request a new credit account card/number right away and have your account temporarily made inactive. It might inconvenience you for a while...but not as much as if you were to delay and, in the meantime, a hacker were to run up charges on your account. Think twice before replying to emails, even from banks, asking for updated account information. Reason why: You might actually be sending the requested information to a hacker! It's called "phishing" and here's how it works: A clever online scam artist sends you an email disguised to look as if it's from your bank. It seems to be absolutely legitimate, with an urgent message that says you must update your account information immediately. But if you do reply, you've actually taken the con artist's bait and he now has account information he was hoping for. To be safe, NEVER click on a link in an email from a bank, credit provider or service provider. Instead, find a customer service number on the company website and make a call to ask questions. Find out if they're really trying to reach you and if they need anything from you. Keep in mind that when hackers steal customer names and email addresses from a bank, they can then send deceptive emails out...posing as the bank. They're "phishing" for unsuspecting, even nervous, customers who might fall for their bait. Change passwords to online accounts anytime you hear of a hack attack. Reason why: Hackers often steal account numbers or user names and need only passwords to hack into customer accounts. Most consumers are dreadfully bad at changing or updating passwords, and often have weak passwords to begin with. If it has been six months to one year since you changed a password for any online account (bank, credit card, retailer, social media, etc. ), take action and create new passwords, and make sure you create stronger passwords than your previous ones. (Read our article on Building a Better Password.) Keep in mind that if a hacker has one of your account numbers in their database (and you're unaware of it), they could possibly 1) steal your password in another online breach or 2) guess at your password to see if they get lucky. If your password is too simple (as simple as "password"), they might hack your account. Get into a regular habit of monitoring all of your accounts. Reason why: It may take credit card companies or a credit agency a while to notice some fraudulent activity...if they notice it at all. How often do you take a close look at your credit card statements or a credit report? If you go months without looking, there could be a lot of activity on your account that isn't yours and that you don't know about—activity put there by someone who has stolen your account number or identity and is enjoying your credit line. Get into the habit of reviewing your statements (even monthly bills), especially if you only get online statements, which most people do. If that's the case, you can go online and arrange to set up email or text alerts to notify you anytime there's activity on your account that's not routine, such as a purchase from out of state or one that's over a certain transaction amount. Always use a Virtual Private Network (VPN) when you're away from home and online. Reason why: It's the only way you can guarantee the online connection is secure. In case you don't know this, free Wi-Fi at hotels, airports and coffeehouses may not be as safe as you need it to be. Yes, free Wi-Fi allows you to bank conveniently while at the airport and post photos on social media sites, but it also means someone else can hop on the same free Wi-Fi network and monitor your online activity. A crafty hacker, with the right technology in his possession, can still steal data from others on the network. 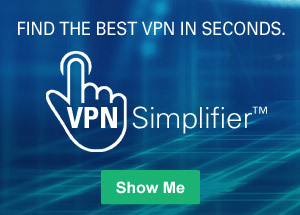 If you go online often at hotels, airports, libraries or coffeehouses, consider opening a VPN account through a trusted provider, such as this one—NordVPN. If you want more information, you can learn more by reading our article about VPNs.